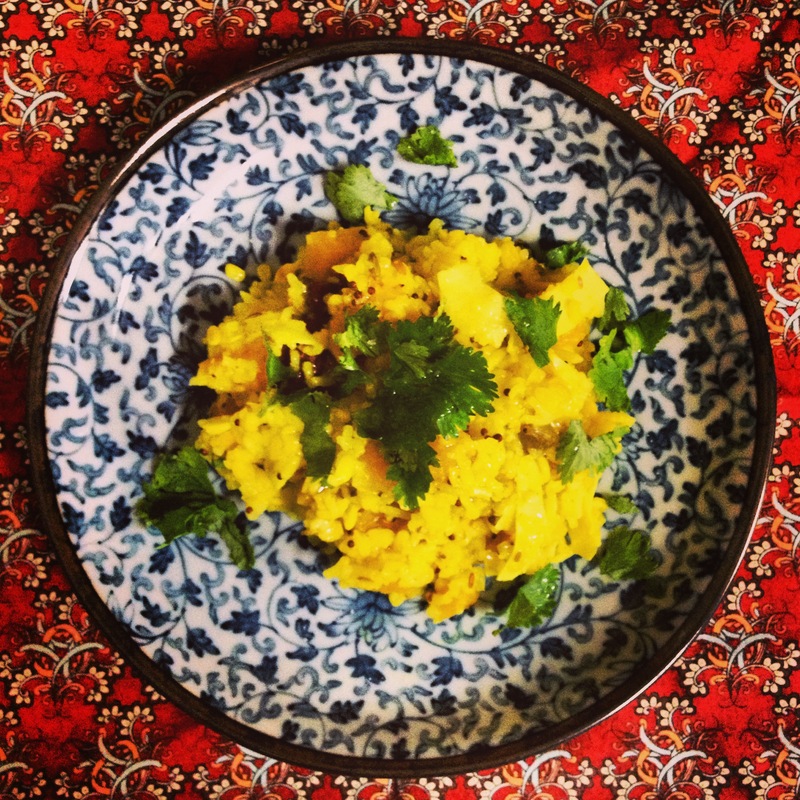 The basics of kitchari are basmati rice, mung dhal, and plenty of water. 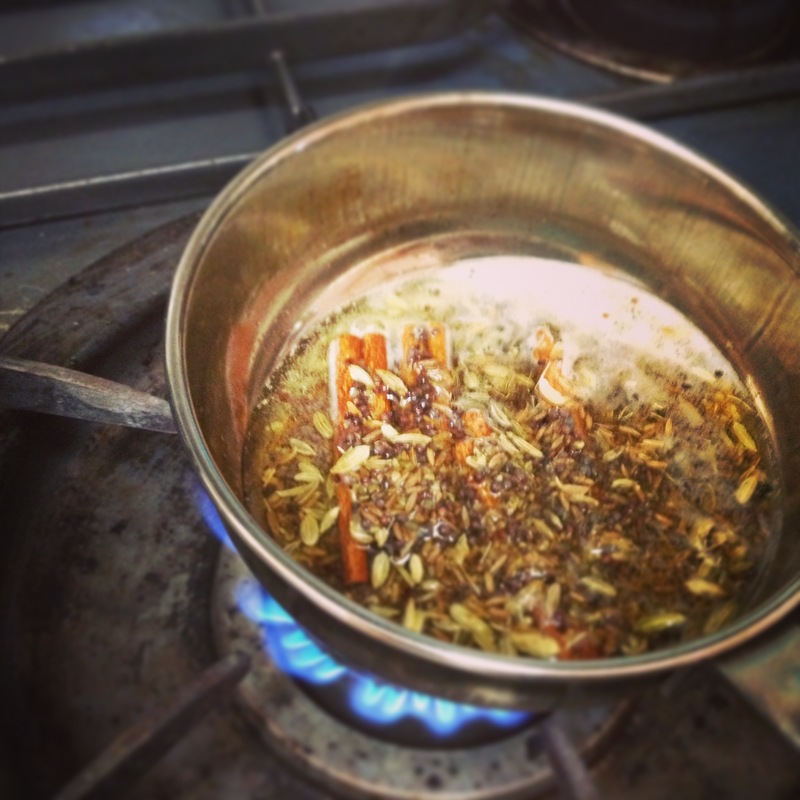 This can be cooked into a watery soup or a thick porridge. The mung (or moong) dhal are split and de-hulled mung beans. Instead of the whole green mung bean, look for the split yellow type. They cook faster and are easier to digest. Mung beans are balancing for all the doshas. 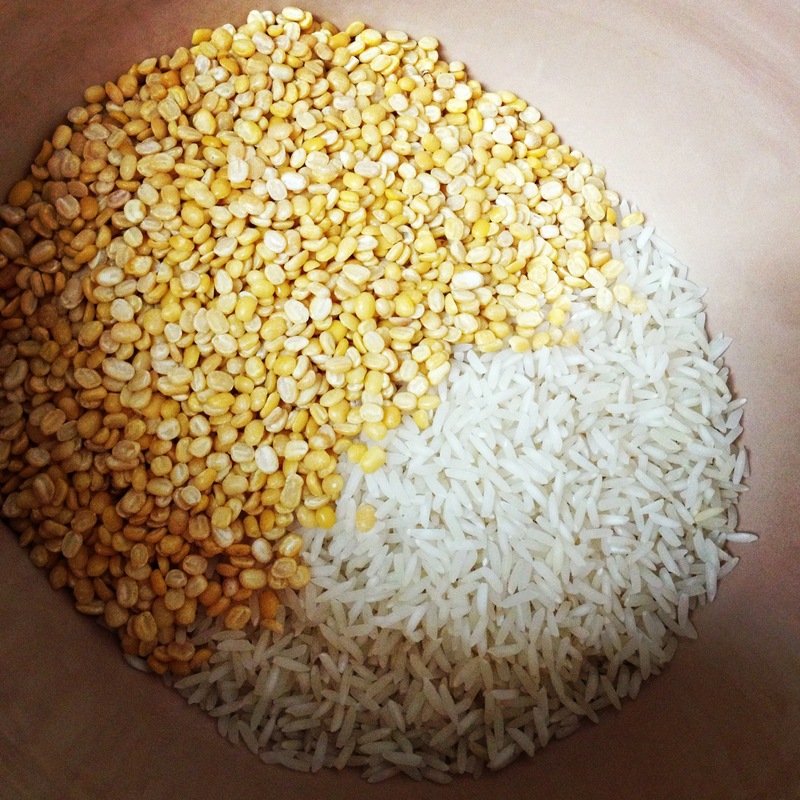 White basmati is also easier to digest than brown basmati. Bring water to a boil. 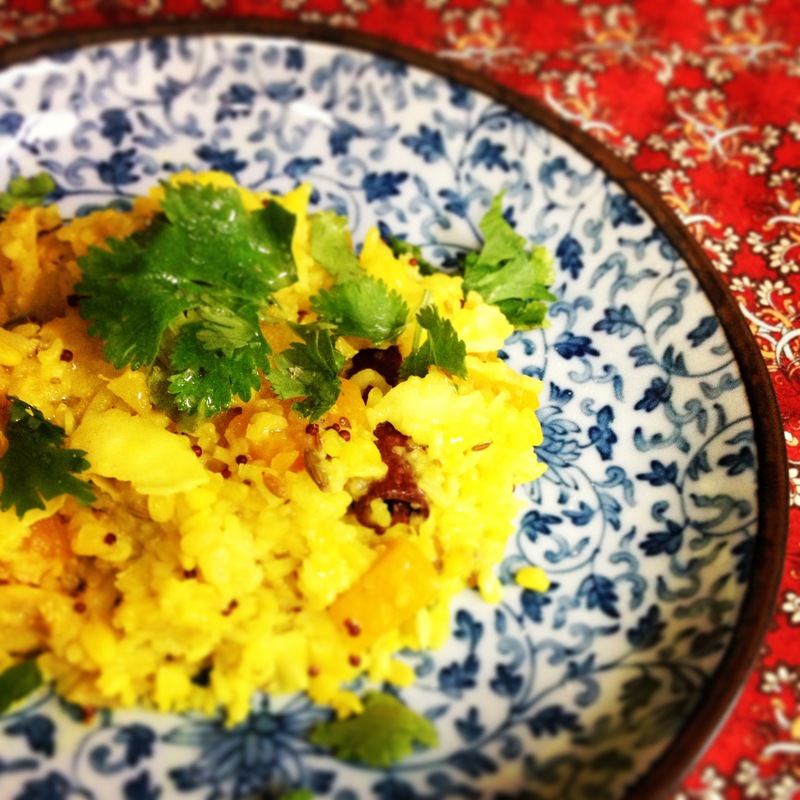 Rinse the rice and mung dhal until the water runs clear. Add mung beans, rice, and chopped ginger to boiling water and cover. Reduce heat to low. 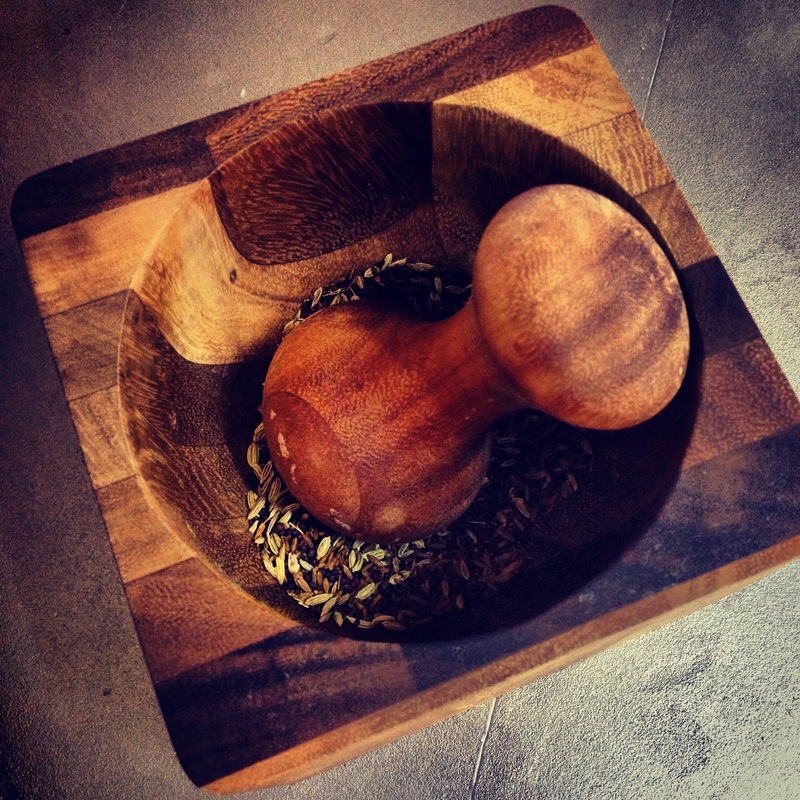 Crush the seeds with a mortar and pestle or the flat side of a knife. 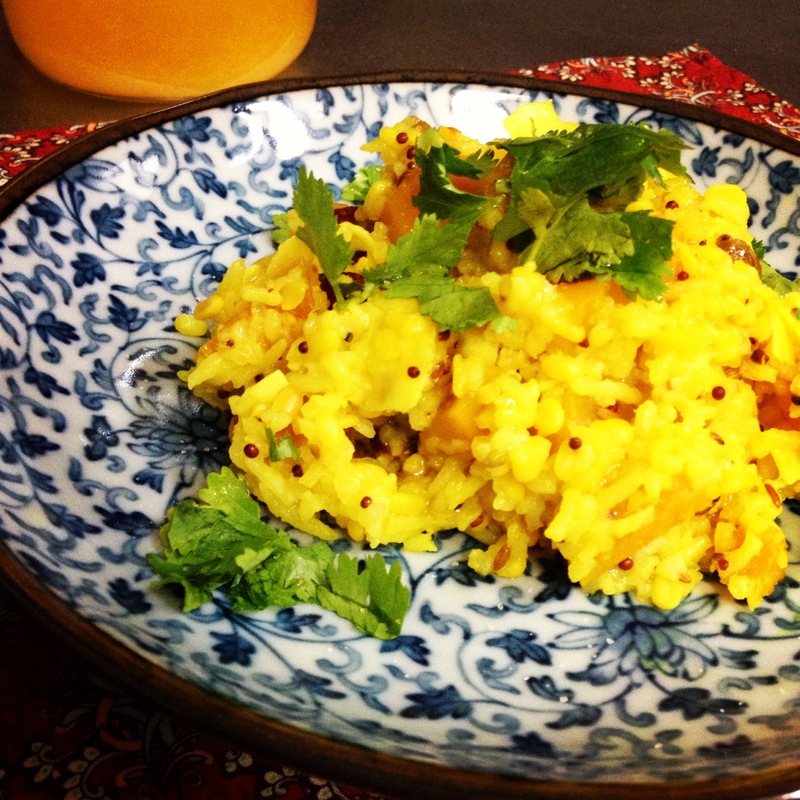 Heat the ghee in a small pan; add the crushed seeds and remaining ingredients except for veggies. You will cook the spices in the ghee until they are roasted and smell delicious. After 20 minutes of boiling the ginger, rice, and mung dhal, add the veggies and spice mix into the pot. Stir, then cover and continue cooking on low until all water is absorbed. This should take another 20-30 minutes. Top with ghee, salt, and cilantro leaves. Mmmm! This will make a fairly large pot. Share with friends, or pack the rest for lunches. You can switch up the spices as you’d like. Here are some simple alternatives. This entry was posted in Ayurveda, Food and tagged basmati, kapha, kitchari, mung bean, naturally diy, one-pot, pitta, vata, vegetarian.